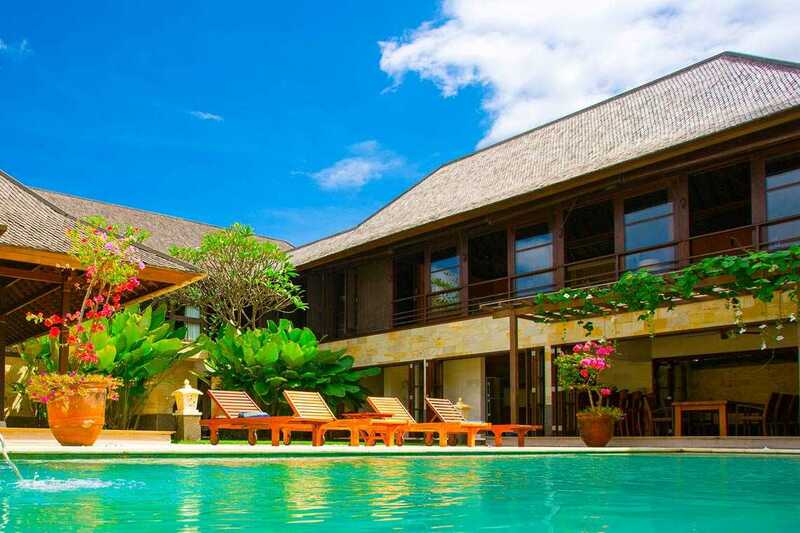 Located in the tranquil fishing village of Ketewel on Bali’s south-east coast, where coconut groves meet the Indian Ocean and a traditional way of life prevails, Villa Bayu Gita Residence (villa MV017) provides the perfect holiday getaway. 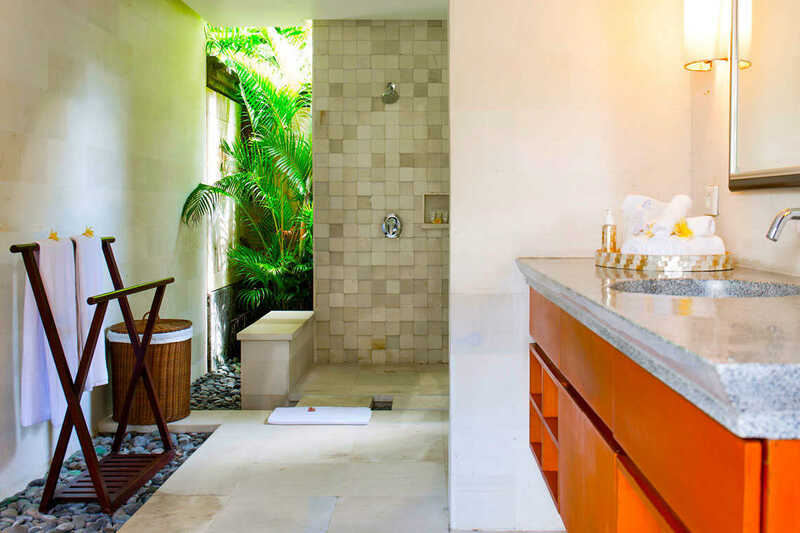 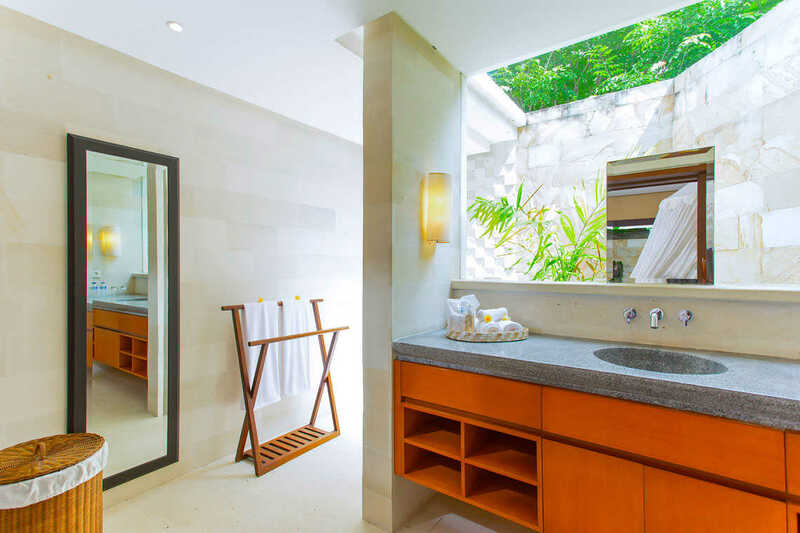 Less than 100 metres from the gleaming black sands of Pabean Beach, this stylish, contemporary villa has been designed with an eye for Balinese aesthetics, keen attention to detail, and supreme comfort in mind. 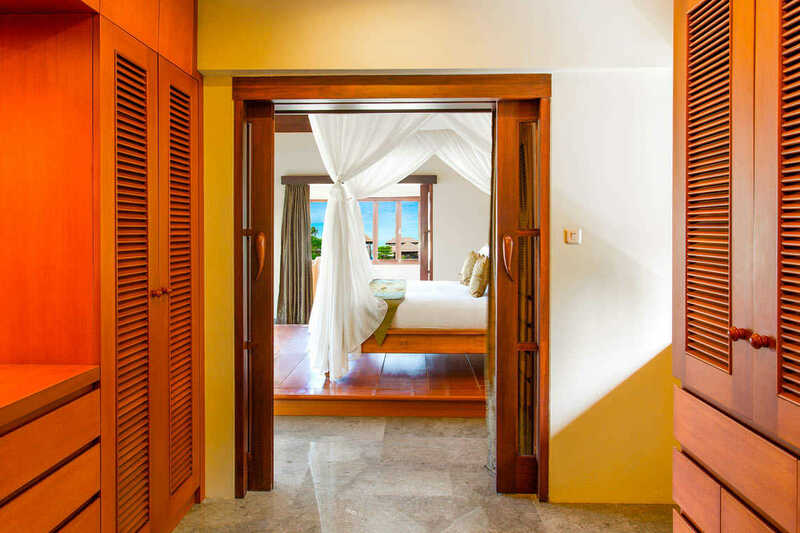 Spread over two floors, the villa is encircled in fold-back glass doors that can be flung open to enjoy the fresh sea breeze. 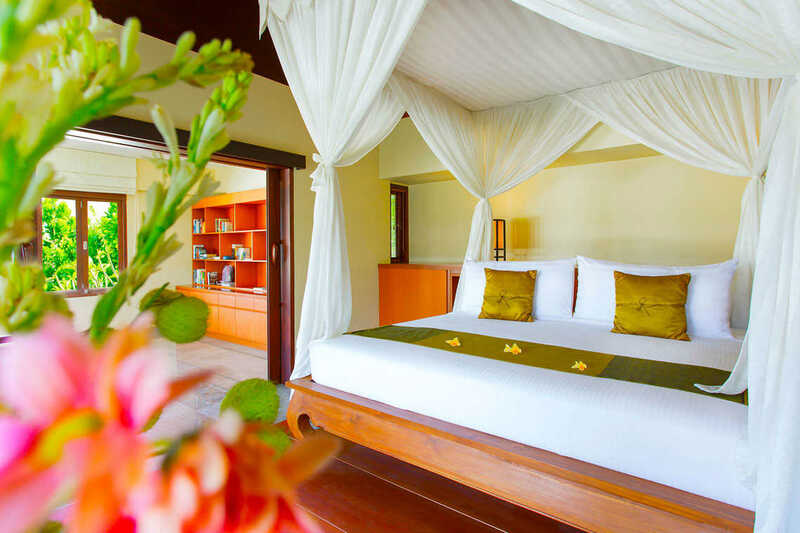 Luxurious soft furnishings include richly woven textiles, rustling drapes and silky mosquito nets, while tropical outdoor living comes with an 11-metre swimming pool, patio dining, and garden gazebo with jacuzzi. 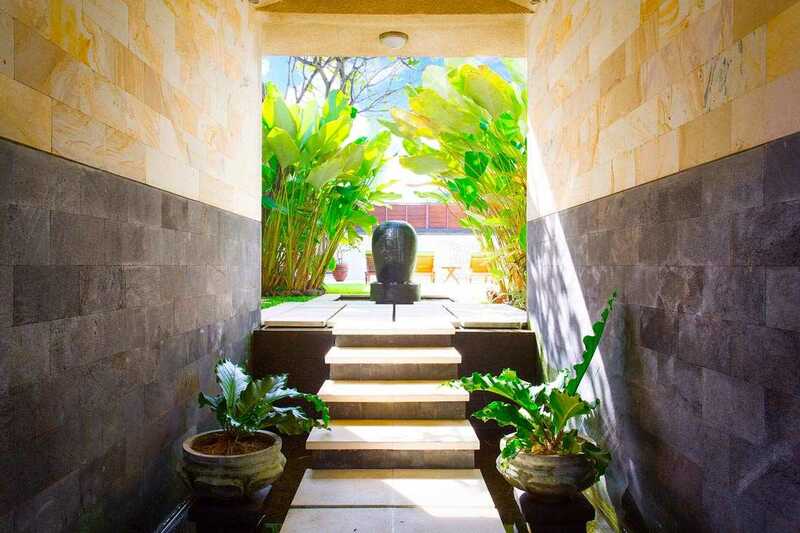 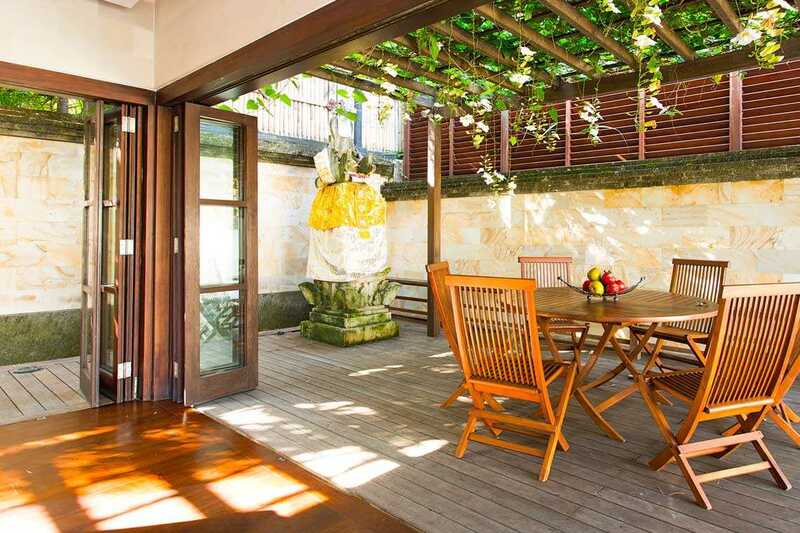 The use of natural building materials, from darkly hued latticed timber to creamy sandstone, creates a discernable warmth which, combined with the villa’s relaxed ambiance will make you feel at home from the moment you cross the threshold. 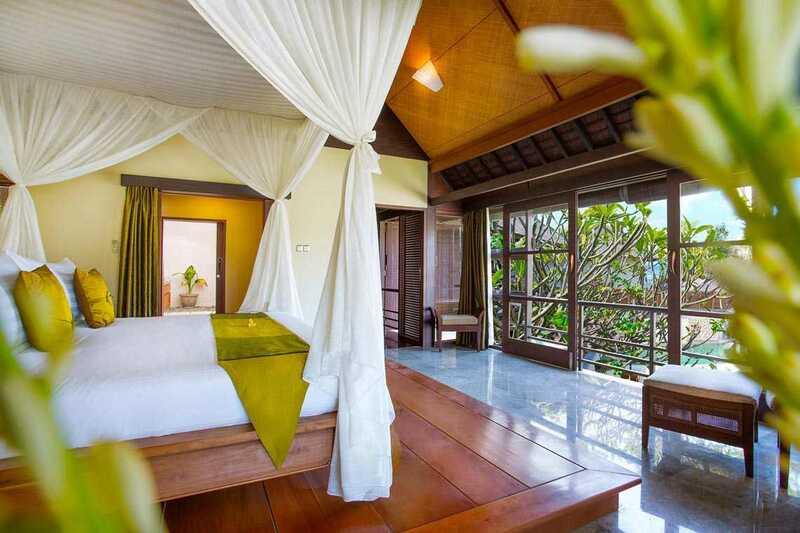 With three bedrooms, including an upper-floor master suite with ocean views, Villa Bayu Gita Residence (vill MV017) is large enough to offer space and privacy for small groups and families, but is also intimate and secluded enough to be a romantic honeymoon hideaway. 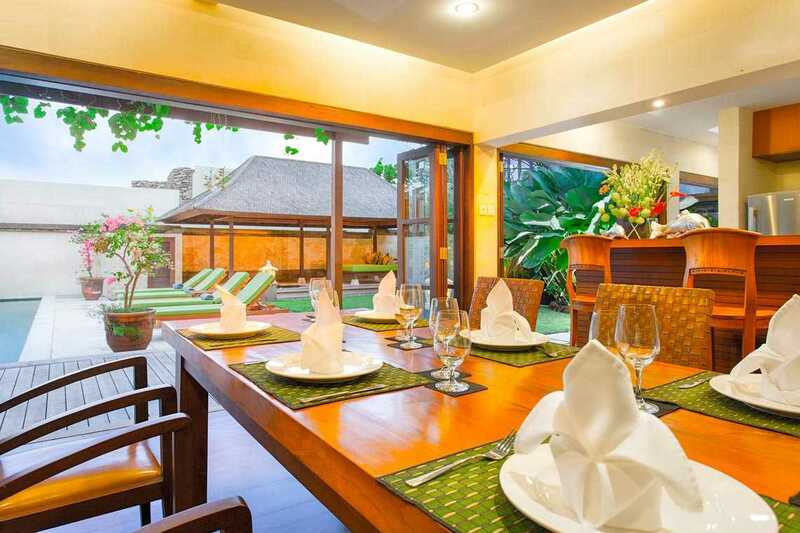 The friendly staff team includes an attentive butler, talented chef and a complimentary car and driver on hand for exploring the nearby coast and hinterland. 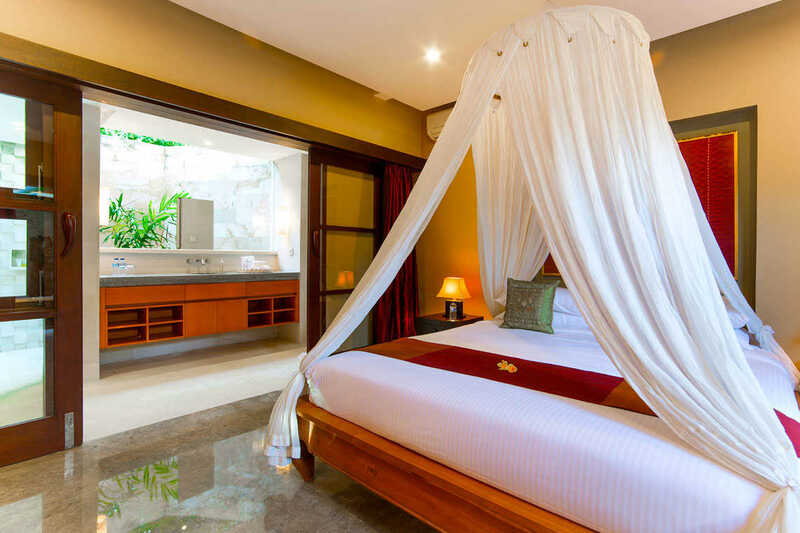 The seaside town of Sanur, the historic arts centre of Ubud, and action-packed Bali Marine Safari Park, are all in easy reach. 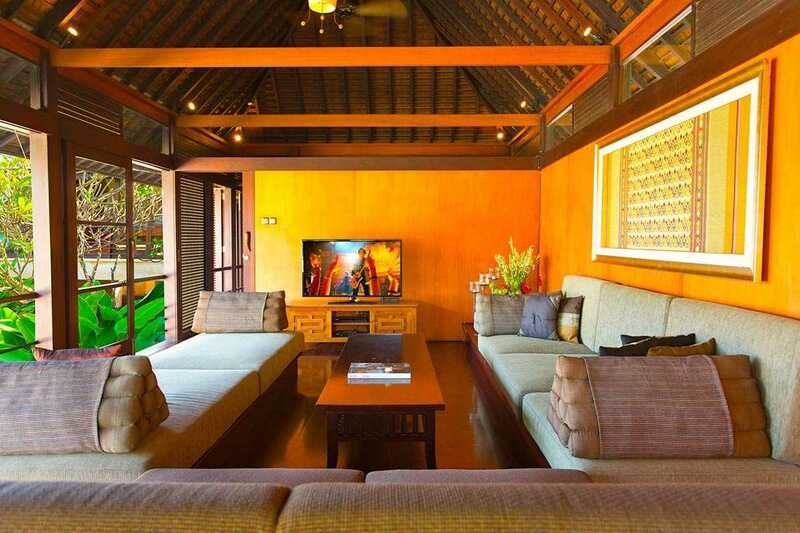 Providing a serene beach escape far from the crowds, Villa Bayu Gita Residence (villa MV017) can also be rented in conjunction with six-bedroomed, villa MV016 to accommodate a total of 18 people. 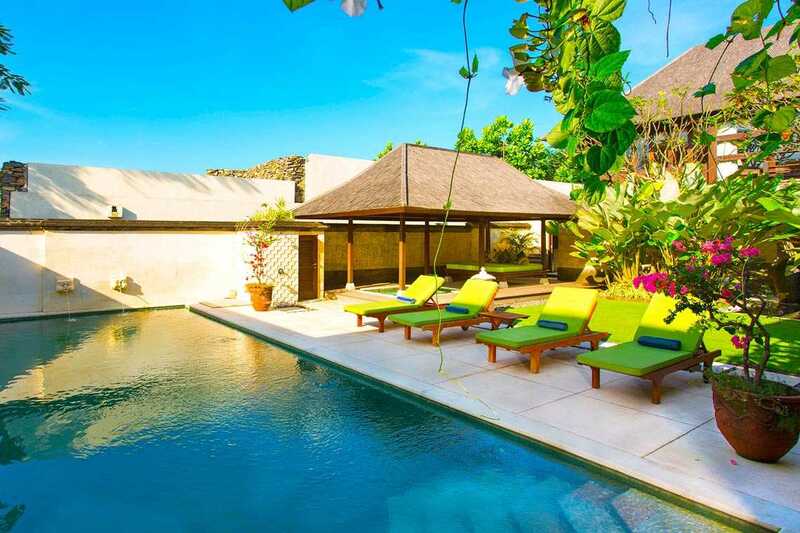 Villa Bayu Gita Residence (villa MV017) faces the dramatic black sands of Pabean Beach in the bucolic east-coast village of Ketewel. 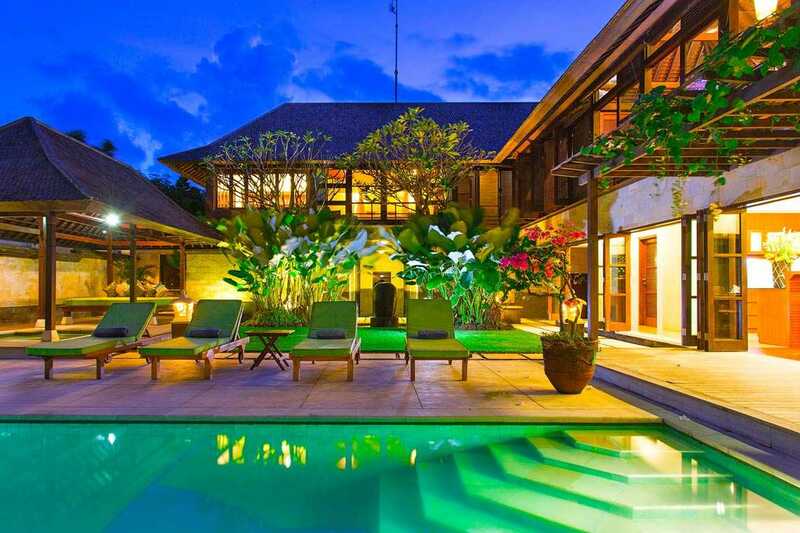 The area is blessed with spectacular views extending across the ocean towards the beaches of Sanur and Nusa Dua, the islands of Lembongan, Ceningan and Penida, and the mountains of east Bali, and is well known by surfers, who come here to enjoy breaks which are far less crowded than those of Kuta or Uluwatu. 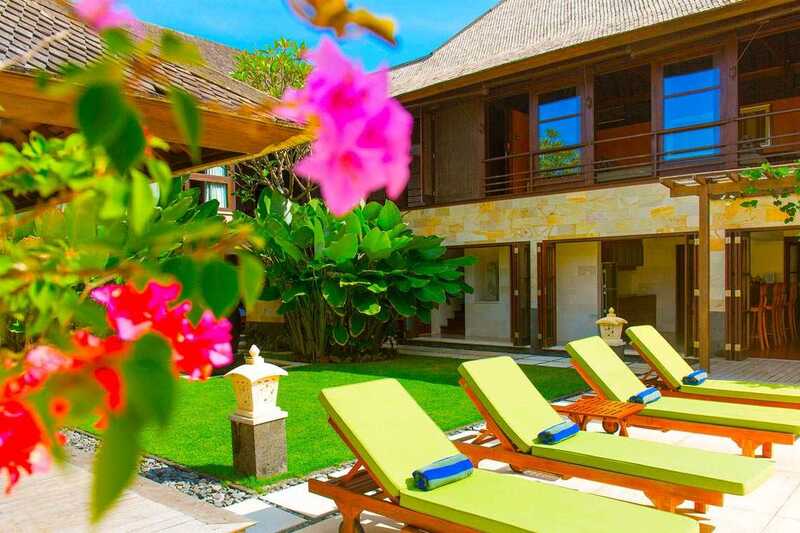 The charming and laid-back seaside town of Sanur is a short drive 10km from the villa. 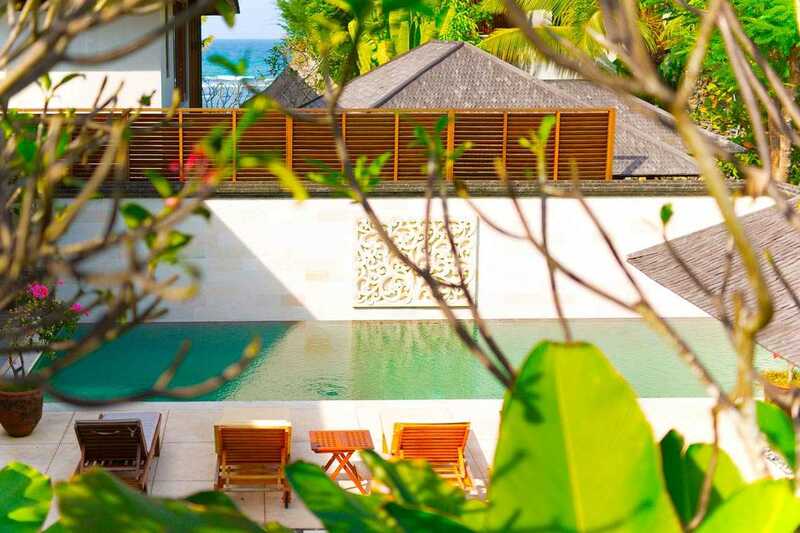 Here you will find cafes, restaurants, beachside bars, calm swimming waters and a boardwalk where you can enjoy a leisurely stroll or a bicycle ride. 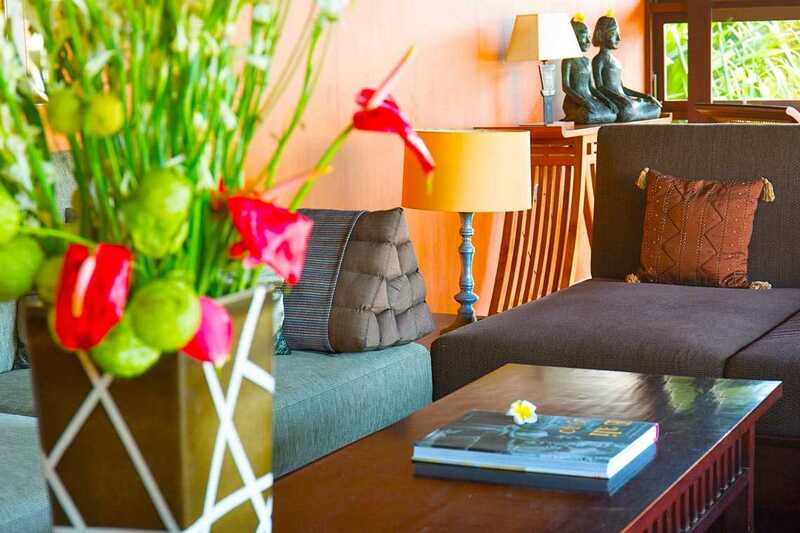 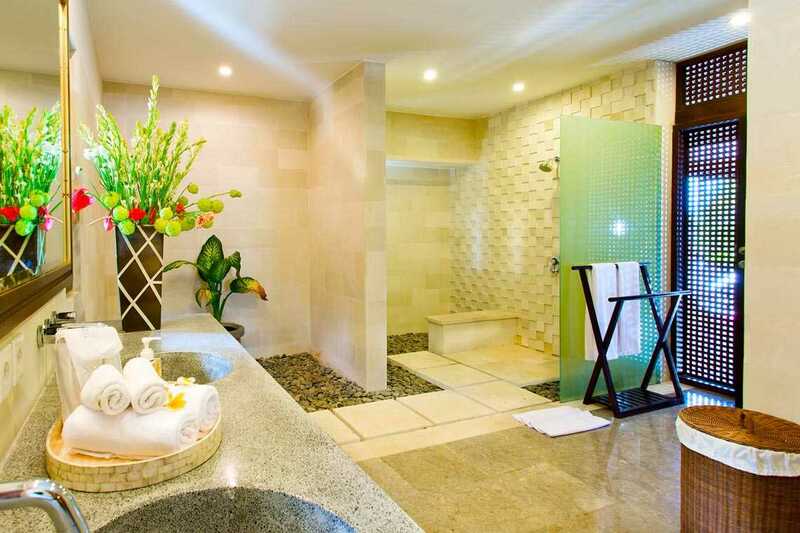 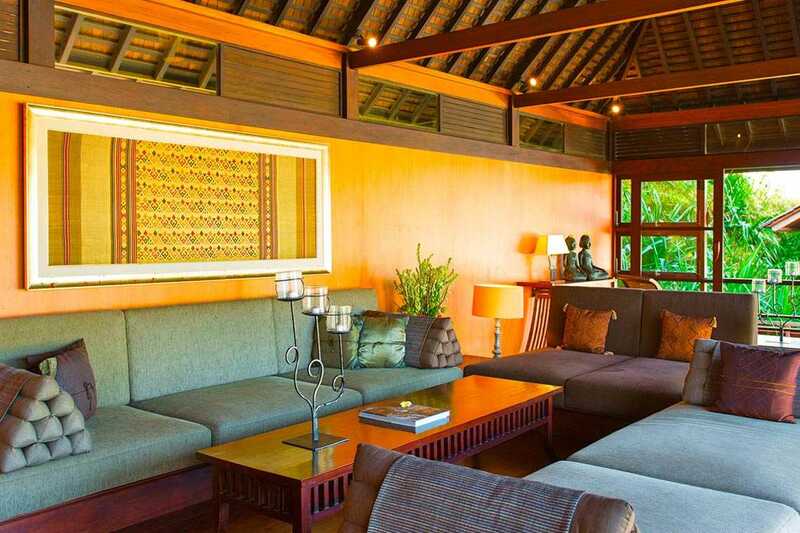 Also within easy reach of Villa Bayu Gita Residence (villa MV017) are several villages renowned for their locally produced arts and crafts, silverware and woodwork as well as the Bali Safari & Marine Park and Bali Bird Park. 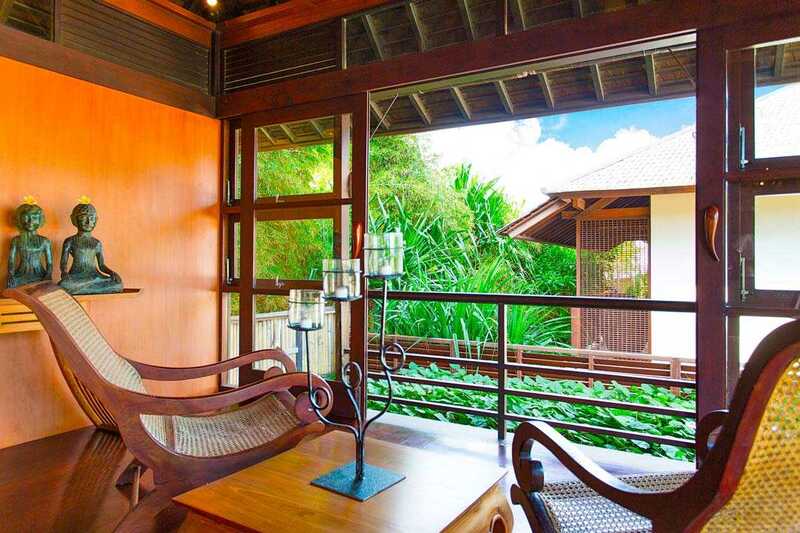 Bali’s cultural hub, Ubud, is a mere thirty-minute drive away.